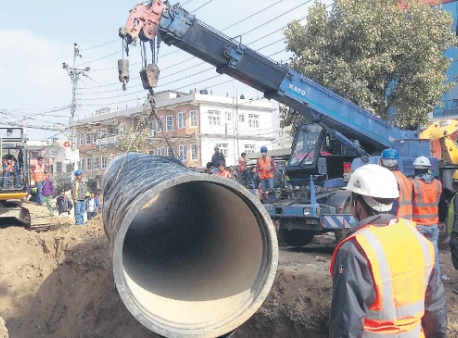 KATHMANDU, Feb 13: Ministry of Water Supply has failed to make assessment of remaining works of Melamchi Water Supply Project (MWSP), despite its commitment to do so at the earliest. Officials of both the ministry and the project have been saying that the assessment will be completed soon. Water Supply Secretary Gajendra Thakur had told parliamentary Development and Technology Committee two weeks ago that the assessment is in the last leg. He had also told the meeting that the government will take a ‘fast track’ mode to complete remaining works of the project in time. However, it has failed to complete even assessment of remaining works. Officials say it will take one more week to complete assessment of the remaining works of the mega drinking water project. 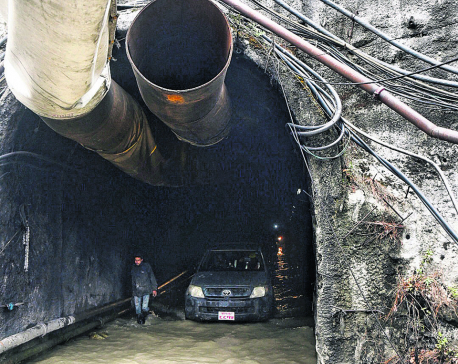 Ministry officials say only 5 percent of works is remaining to bring Melamchi water to Kathmandu. Though head works at the water source have yet to begin, project officials say it is possible to divert water to the tunnel by creating a temporary structure. Speaking at the Development Committee meeting, Thakur said the remaining work would cost Rs 300 million-Rs 350 million. However, the MWSP has now said that estimated cost will be around Rs 1.43 billion. Deputy Project Director of the MWSP, Ram Prasad Kharel, told Republica that it will take one more week to calculate cost of remaining works in the project. 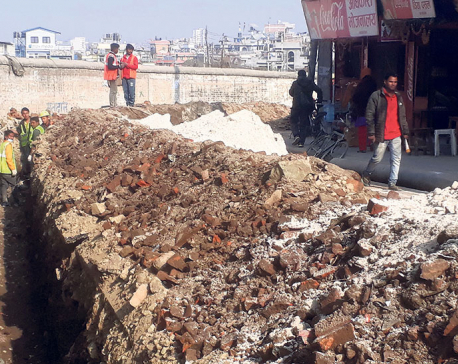 “We are now checking every detail of the remaining works,” said Kharel, adding that the MWSP will table new cost estimation to the ministry for further action thereafter. The MWSP’s consultant EPTISA, experts appointed by Asian Development Bank (ADB) and officials of the MWSP are making assessment of remaining works of the project. The ADB has hired former government secretaries Tulsi Sitaula, Suman Prasad Sharma and Birenda Bahadur Deuja as experts to make assessment of remaining works, according to MWSP. The project is financed by ADB. MWSP had issued final termination notice to the civil contractor of the project, Cooperativa Muratori e Cementisti (CMC) di Ravenna, on Thursday. The Ministry has already stated that the remaining works will be completed by using a special provision in the procurement laws. However, it needs to be approved by the cabinet. The Development and Technology Committee of parliament, two weeks ago, directed the ministry to follow fast track process for completing the water supply project at the earliest. The contractor had walked out of the project after tabling a termination over the issue of delay in release of payments. Later, it was revealed that the company of the contractor was facing financial crisis back in Italy.